Holds a Doctorate of Dental Medicine and a Master’s Degree in Temporo-Mandibular Joint Disorders (TMD) and Orofacial pain from Tufts University, School of Dental Medicine in Boston (USA). Awarded Outstanding Achievement from the American Academy of Orofacial Pain in the field of TMD. Attended multiple lectures and seminars on TMD and Pain management. Dr. Chakfa has a long experience in Dental Medicine. Prior to joining Boston Dental Center in 2012, she started her career practicing dentistry in Boston for 5 years before moving to the UAE as a dentist at Al Rahba Hospital. 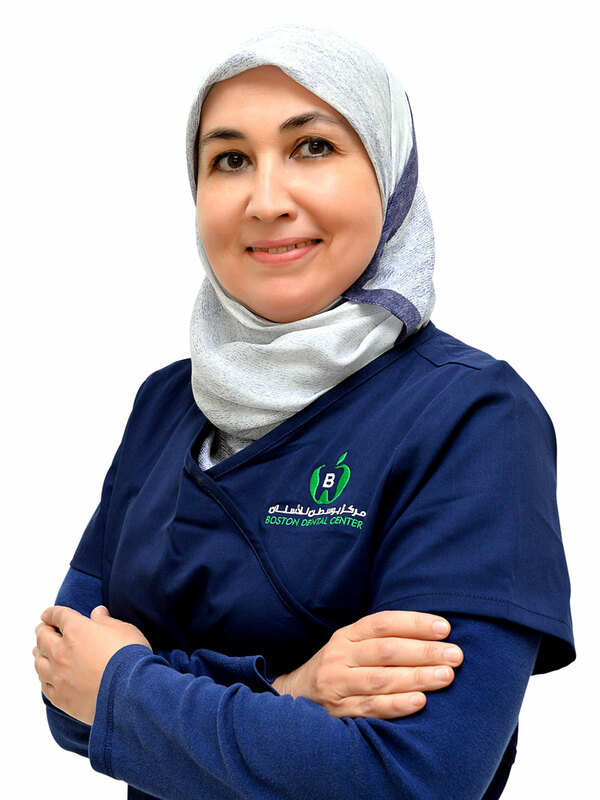 Dr. Chakfa is General Dentist and her clinical expertise includes restorative, cosmetic, endodontic, prosthodontics, and pediatric pedodontics.